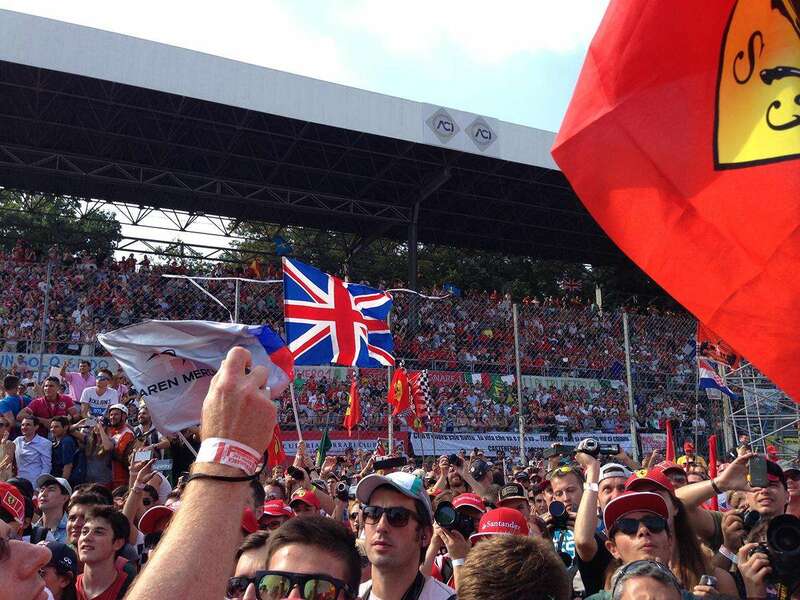 Get the most out of your trackside experience at Monza for the Italian Formula 1 Grand Prix. The next race takes place from August 31 to September 2, 2018. The Monza circuit is located within the 4th largest city park in Europe, measuring 688 hectares. Unless you are being whisked by private car to the Paddock Club, you’ll cover a lot of ground on foot over the weekend; the distances from the shuttle drop-off points to the entrance gates are long, and you’ll also have to walk to your seat inside the circuit. The experience for fans at Monza is a little disorganized and chaotic, but that’s the Italian way and it’s part of the historic circuit’s charm. Going General Admission? Bring along a fold-up chair and/or a picnic blanked to make your day a little more comfortable. Binoculars are a good idea, particularly if you are a long way from the big TV screen and want to stay up to date with lap charts and leaderboards. The weather is generally hot and sunny at Monza in the late Italian summer, and most grandstands are uncovered, so don’t forget to bring a hat and sunscreen and to wear light, comfortable clothing. > Gates A, G & F: on the eastern side of the circuit, closest to Parabolica. This is also the area where the shuttle buses drop fans off. > Gates B & C: on the south side of the circuit, closest to the stands on the pit straight and the opening Variante del Rettifilo. > Gate D: on the northwest corner of the circuit, close to the Lesmo corners and the Biassono train station. Not the greatest entry point if you are sitting in any of the grandstands, as the walk will be a long one. >Gate E: on the north part of the circuit, this is the best entry point if you are sitting in any of the grandstands on the Ascari chicane. A drivers’ autograph session and track walk should also be taking place at the same time, but is still subject to confirmation. 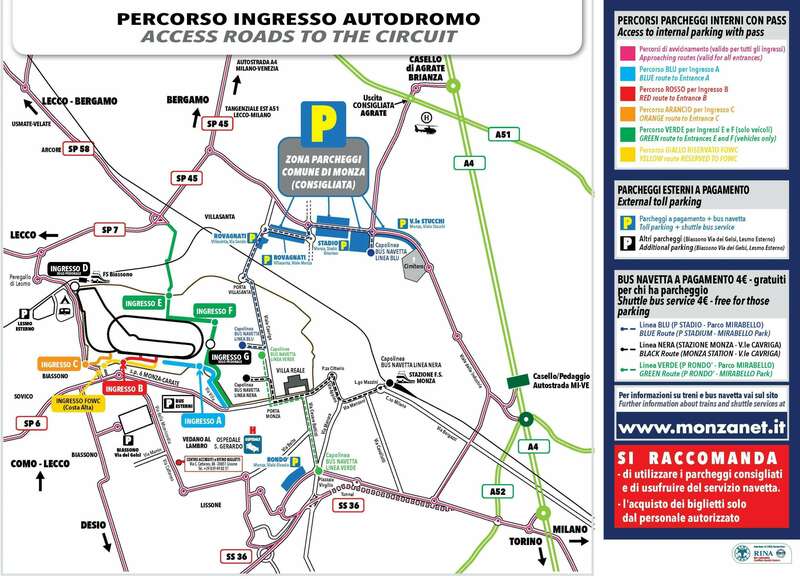 You can park inside the circuit on Thursday only (€10 for cars, €5 for motorbikes); enter via gates A, B and F (via Vedano, Santa Maria delle Selve and Golf club). Avoid if you don’t like crowds or confined spaces! The on-track schedule at Monza this year features action from F1’s two main feeder series, Formula 2 and GP3, both of which will feature two races; a longer feature race on Saturday and a shorter, sprint race on Sunday morning. There will also be Porsche Supercup racing. Monza operates a ‘Free Friday’ policy, meaning you have open access to all the grandstands around the circuit (apart from the Main Grandstand on the pit straight), even with a General Admission ticket. This is a great opportunity to check out different parts of the circuit; just make sure you wear comfortable shoes. Friday tickets cost just €50 – buy here. A trip to Monza wouldn’t be complete without joining the tifosi on the track for the podium celebrations after the race. The organizers open up the track just a few minutes after the winner has crossed the line. The best place to get access is in front of the main grandstand. Fans begin gathering at least 30 minutes before the end of the race, then make a sprint for it when the gates are opened. Access is also provided from the grandstands directly opposite the podium and from other points around the track. Monza is a historic track and hasn’t received the investment it probably needs for upkeep. This means that the facilities are a little tired, but the picturesque park surroundings go a long way to making up for this. The toilets are mainly of the portable variety, but they are kept fairly clean and queues are infrequent, except at peak times on race day. 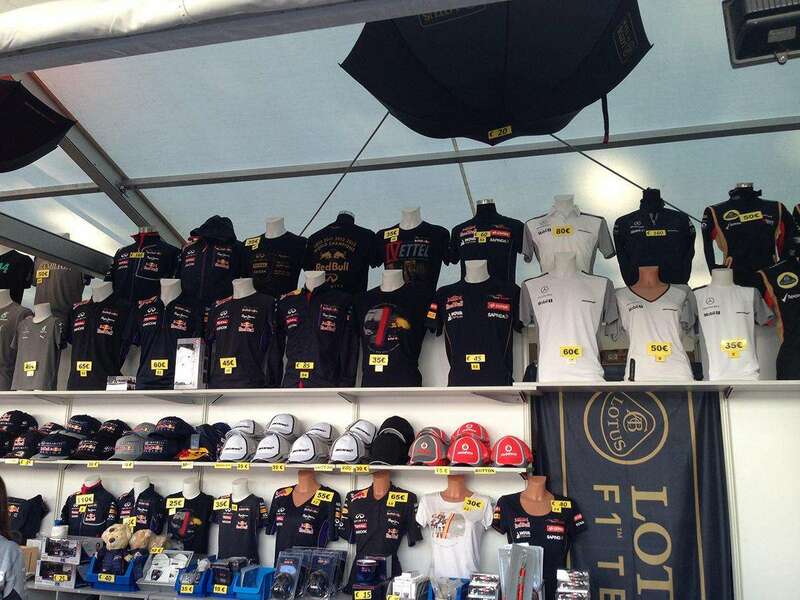 There’s also a fan village behind the pit straight grandstands with live music, displays and merchandise on sale, check out the pictures below. If you are on a budget, visit a shop before you head to the circuit to stock up on food and drink, but to be on the safe side, don’t attempt to bring in any glass bottles to the circuit. 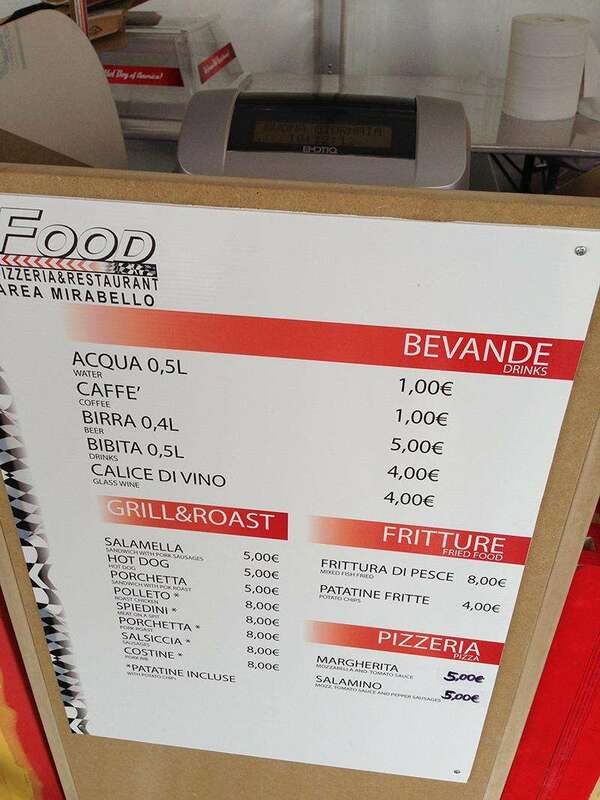 Being Italy, the food and drink on offer at Monza is better than at other circuits, but still overpriced. Check our 2014 pictures for examples of the kind of food on offer and prices. Expect to pay €1 for bottled water, €4-6 for beer and soft drinks and €5-10 for meals. There are food and drink stalls located all around the circuit and prices vary. 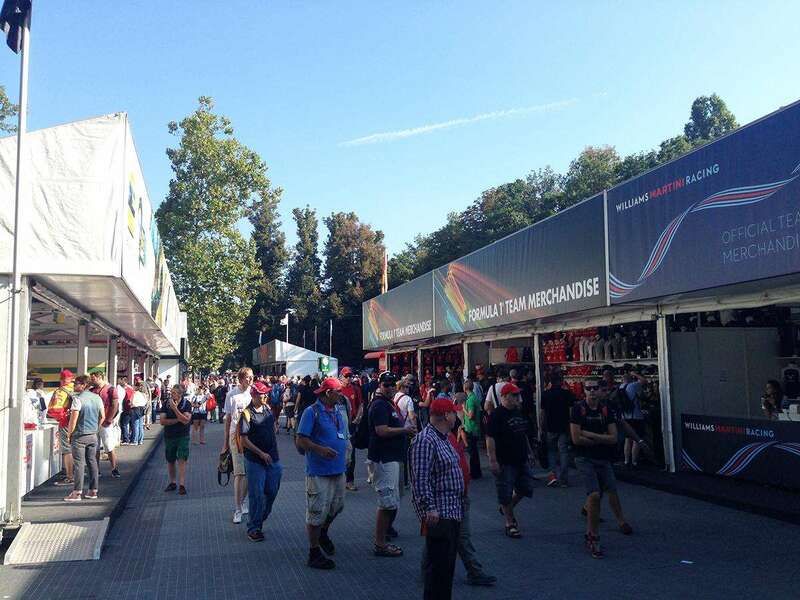 If you want to save a few Euros, there are also cheaper food and drink stalls just outside the circuit and passouts are available (near the Vedano gate, closest to Parabolica, for example). You can’t visit Monza without checking out the historic banked circuit which still surrounds the current circuit. Access is supposed to be off-limits, but this is Italy and there are plenty of spots where you can sneak through the fence and take a look. The best time to do this is earlier in the weekend before the crowds descend and there is more security (e.g. on Thursday, when the fan’s pitlane walk is on). A good place to enter is on the section at the eastern end of the circuit, close to the Parabolica. Been to Monza? Share your trackside tips below! On the website of Monza or any of the maps i see that i need to get entrance A? What is the best entrance for Ascari 12, any tips for a good parking spot? The dates listed on this page for the 2017 event are wrong, will this be updated anytime soon? I have main grandstand tickets for Monza, I’d love to be able to have paddock and pits access, any ideas of how I can get passes/tickets for this ? Hi Andrea, I don’t believe there is such an ‘add on’ for paddock/pits access. Normally this is sold together with tickets and used to be only Paddock Club, which is very expensive. This year, there is also the F1 Experiences offer which is cheaper than Paddock Club, but still expensive. Hi, with 3 days ticket (général admission) we have pit lane walk in thursday ? Yes, you can go to the pitlane walk on Thursday with any 3-day ticket. Which gate can we use on Thursday (pit lane walk)? We’ve booked General admission for the three days – kids under 12 go free. I am wondering therefore if kids can go free with parents who have 3 day General admission tickets on the Thursday for the pit walk and driver autograph signing? I don’t think you will have any issues taking your kids to the pitlane walk on Thursday. Just don’t forget to bring your own General Admission tickets along. Late decision to go to the circuit and travelling all the way from Namibia in Africa. Any recomendations for the best online ticketing sales services and considering the costs of these tickets where would the best seats be for the cheaper type of tickets. Hi Allvan, you’ve made a great choice. Monza is awesome! We recommend buying from Gootickets, our partner. You will also be supporting the development of our site! As it is getting closer to the race, I suggest you pick up your tickets at the track, it will be cheaper too. If you are on a budget, go for General Admission at 100 EUR for 3 days. We have 3 days tickets and will be going to the pit walk on Thursday. We are intending to have a hire car just to get to and from Malpensa to our apartment in the centre of Milan (close to main railway station) BUT we were thinking of driving out to the circuit on the Thursday for the pit walk. Would there be parking close by and available on the Thursday. We wouldn’t consider driving for the race weekend, a cold beer is a must for race weekends!!! Also we have main straight bleacher tickets 27D for the weekend. Would we be better getting the train to Monza station on Sunday rather than the other train available? Hi Denise, driving to the circuit on Thursday for the pitlane walk is a good idea. Here’s the 2017 info from the Monza website: “Only for Thursday, the 3-days ticket holders can park inside the circuit (10 euro for a car, 5 euro for a motorbike). The entrances open are A, B and F (via Vedano, Santa Maria delle Selve and Golf club).” I agree with taking public transport on the other days. 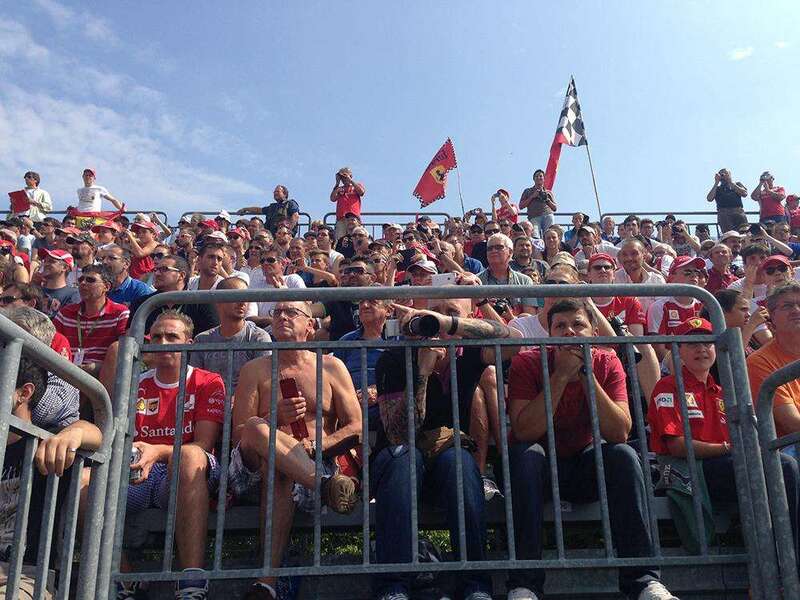 For the main straight bleachers, you are best taking the train to Monza station, followed by the Black shuttle bus. We’ve just updated the Getting There and Around section for 2017, more info there! Enjoy the weekend. Hi, we have 3-day tickets for Monza at prima varianti but we have limited mobility due to cardiac issues, is there a disabled courtesy bus/buggy and can it be booked. Can a taxi drop us at Ingresso C? Great site BTW. Hi Ian, I’m not sure about any internal courtesy bus or buggy for disabled fans. I suggest you contact the circuit (please let us know their response). Yes, a taxi should be able to drop you off at Gate C. Thanks for the compliment! Thank you and I will let you know response. I bought tix for GA on bookf1.com, but the tix for the Monza Gp have not yet been received by the company. Did anyone else receive their tix? Hi Aaron, we don’t co-operate with BookF1, so I can’t help you out. But they are a reputable tickets company, I am sure they will do everything in their power to get the tickets to you in time. Worst case scenario, you will be able to collect at the track I guess. So you got print-at-home tickets? Can you take cans of beer into the circuit? Bag checks are not common, you should be ok. I cannot guarantee though! Congratulations for your help you! Well done!! Do you now which is the best entrance for 6c?? Hi Antonis, Gates A or B are best for 6C. You need to walk under the circuit (near the podium) to get to your grandstand. Not 100% sure, but it is Italy. Even if you are not allowed, people will probably still do it! You can turn up when you want! we have Prato Tickets for the GP. From which place do we have the best view Art the circuit? Hi! When Can I buy tickets for next years Monza GP? Hi Sanna, tickets normally go on sale around November (if I remember correctly!) Follow us on social media and we will let you know! We had thre day tix at prima variante. As a long time motor racing person, I have been to many circuits. 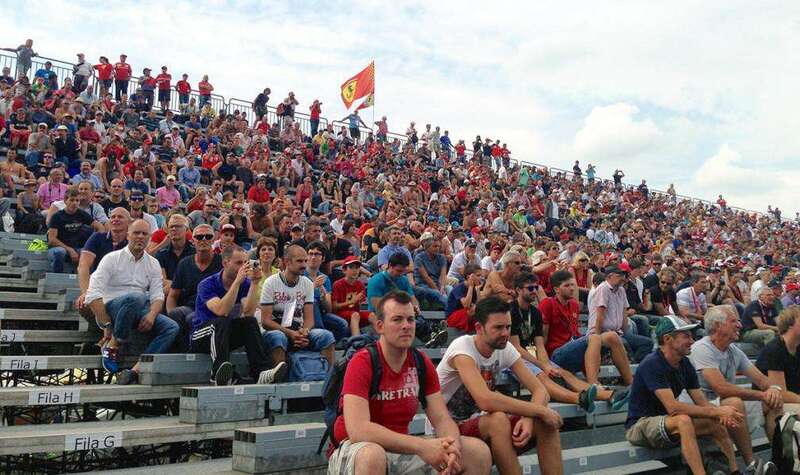 Monza is a DISGRACE – the toilet facilities are out of date and appalling, the management of the crowds and people skills are amateur at best, the place is run down and needs F1 to make them sort it out. It is trading and taking the p**s out of fans because of its history. Apart from one other circuit, it gets first prize providing the customers with less than they deserve. 1. You can no longer enter the circuit with any plastic bottles or tins. All tins of beer, coke etc confiscated and thrown away, you can keep the plastic water bottles but the caps are confiscated. We usually ice our water in the freezer and allow to melt in the heat, nope that’s ‘too heavy’ and again confiscated. On this point, seen an absolutely disgusting situation Sunday morning where two British McLaren fans who’d purchased official Alonso Water Bottles the day before then had them confiscated by security, despite buying them in the circuit. 2. Pricing is way off – the above is of course for a reason. Beer prices were 8 Euros for a 0.4 Heineken. Water at 3 Euros. Food, unknown as I’d never eat whatever it is they’re serving there. 3. Entering Stands – average queuing for stand entry was 40 mins due to baggage checks confiscating as much as they could. Put the security on the perimeter and once in then no need again ….. surely. I came through security with my 1.5 Litre bottle of water for the 30 deg heat TWICE, then on trying to enter stand 8A, sorry bottle too large for Sunday, only 1 Litre allowed maximum, and yes, confiscated. 4. Despite all these checks however, usual Italians in your seats and the stand with no tickets, happens every time, stair well in our stand full, and one elderly gentleman couldn’t get down the stairs, no one would move for him. No water, but these people can get in for free. 5. Toilets – disgraceful, no water, no toilet paper, no cleaning. I could keep going on and I expect more than Ian and myself will be taking to review sites after this weekend. I bumped into many brits who will not be back. This was my 5th time to Monza with my friend, we go to circuits every year and pay a lot of money for the privledge, and we WILL NOT BE BACK at Monza. Racing great, atmosphere great – but just ruined by the above. I’d love to know if this is a Monza thing or is every race going to this no plastics, no tins policy on entry. Love to read from anyone who knows. Almost certainly back to Budapest for us next year, how an F1 circuit should be run. Jason, thanks for your honest review. I’ll definitely update the guide for next year. I can confirm some of the above. My and my friend went to Monza for our first F1 race ever. What I have to say is that the security check was the most improper one I have ever seen. They did not check anything apart from the plastic lids on our bottles. The next day we just put them into our pockets beforehand. We both had a backpack which they did not check at all. We could have brought all sorts of things. The food is quite expensive indeed, but given the occasion the price cannot be argued with. A panini costs EUR 7. The toilets are a joke, already before the race they were out of everything. What I can confirm though is the inconsistency of the exits/ entries and staff behaviour. Italians are treated very differently. And the Golf Course entry is not an entry at all. On neither of the 3 days we were there we could use it, although it was mentioned as an entry on the ticket. One time the guy said “exit only” (when we tried to actually exit from the inside they said “no exit”) and one time we had to use a different entry for our stand although we used another one before. As it was our first experience we cannot compare at all, but it did not feel great. Train and bus service were great though. This was our first experience of Monza F1 and special Xmas present we spent a year planning. We will not be going back. We had seats in the Ascari stand, 3 days but I spent my Sunday telling Italians to get out of my seat or my space, people then stood at the edges and this seemed to be OK, why is this allowed? security on the stands is required. Sunday – over an hour of queueing to have our picnic bags taken off us with our lunch & water. Yet inside we see people with step ladders, flares and booze in glass bottles. I will not succumb to paying 2-3 EUR for a bottle of water and I will not be penalised for taking my own lunch. Transportation to the event great, I have to agree with the above if you are Italian anything goes but other nationalities I am afraid very strict rules apply. First off thanks to F1Destinations, the service you guys offer is excellent, thank you. My partner and I have just returned from our first Monza Grand Prix, would we go back? – I’m not sure. The atmosphere and just being at Monza is amazing, its steeped in motor racing history and that for the motor racing purist should not be compromised by the points below. Monza, please invest in educating your event stewards or you risk killing the magic that is Monza. What annoyed us the most was the inconsistency of the stewards, this might be down to their lack of training as they are almost certainly employed by event agency organisations. Your previous commentators have it spot on with the poor attitude of the stewards. They adopt an almost robotic stance on what is allowed and what is not. There is a board that illustrates what is not allowed into the grounds which everyone tries to adhere to but then they seem to add their own exclusion criteria at will with no justification or qualification of why these additional items are not allowed. You simply cannot reason with them. Example, the stewards remove all your bottle tops from water bottles on the grounds of safety, no bottle tops but plenty of Italians letting off flares inside the ground, Safety it appears isn’t compromised by flares, don’t get me wrong I don’t have a problem with flares as it adds to the fabulous atmosphere that is Monza. Another example, our wheeled picnic bag is confiscated on the Sunday because it had an Aluminium retractable handle, even though we took it in on the Friday and Saturday with no problem. Then you see people with Aluminium step ladders and 20-foot aluminium flag poles, these apparently are not safety concerns either. Everything, it seems is justified on the grounds of safety, even being forced to walk through a quagmire of mud that included wheelchair users, pushchairs and children when there is a parallel tarmac surface right next to the mud bath. Pickpockets – We witnessed a Fagin style pick pocket gang in operation, at least three wallets handed over to the ring leader and no one in authority seemed to care. Would just like to concur with much of the above. 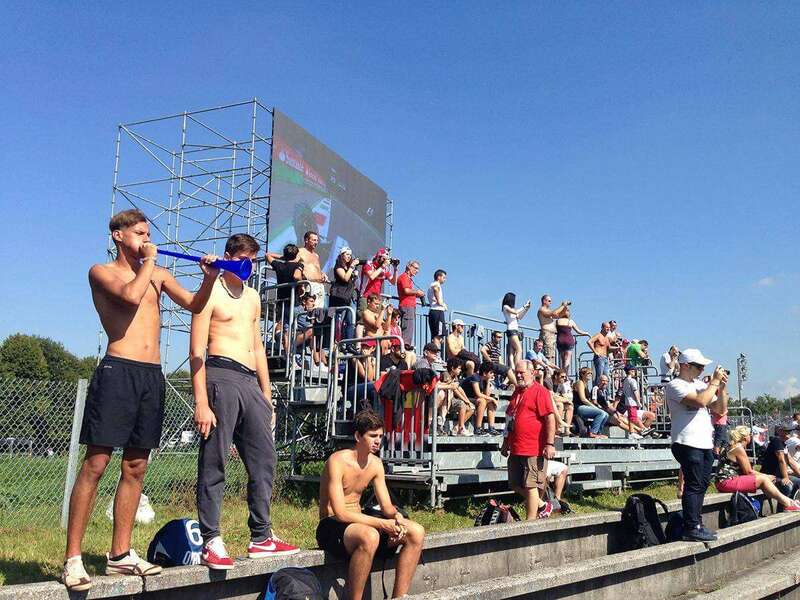 Just back – was my third Italian GP in a row – and the stewarding was a total mess this year. Taking a few beers (cans, not bottles) had always been allowed – until this year. That said, on both Saturday and Sunday I simply walked past the steward doing the searching without being challenged. However my friend got stopped on Sunday and was relieved of a 500ml bottle of water and sun cream. Fortunately I was carrying the beer. Meanwhile throughout the circuit there were poles and chairs and flares and everything else. In fact at one point I met a family cooking pasta on a camping gas stove. Sun cream dangerous, compressed propane ok?!! I wondered if it was just the stewarding where I entered (Biasono-lesmo, which is the best train route to avoid the shuttle bus)? The queues were also bad this year, but my impression was that this was made worse by the rain on Saturday which was slowing down ticket scanning. Certainly on Sunday the queues moved faster where I was. I love Monza, but am questioning whether I’ll go again now. I can make allowances for the rain making it a bit difficult given it is so unusual, but the expectation that you’ll sit it the open air blazing sunshine for 5/6 hours with no sun protection and get held to ransom for a €3 bottle of water or an €8 Heineken is not on. Andrew, keep up the great work – f1destinations is an awesome resource. Just purchased tickets for 2018 event in grandstand 26c (laterale destra). Travelling from Australia. 26c seems like a great spot to be close to podium celebrations (for when Daniel Ricciardo wins ;-)) and pit action. Do you have any tips or advice for seating in 26c? Some of the previous comments are a bit alarming – I hope these things are ironed out for the 2018 event. Going to Monza is a bucket list item for me! I purchased tickets via gootickets. Is it possible to request where in the grandstand we will actually be seated (eg towards the front, the middle or at the back)? Hi Tim, thanks for your comments. I need to go back to Monza again this year I think:) Don’t worry too much about the organization. Just go with the flow and enjoy Italy! For 26C, I’d request a seat higher up so you can take photos over the catch fencing. Go Daniel! Do they serve alcohol in the ground? I’ve purchased an official entrance for Monza 2018. But the invoice I got said that “Ticket to be collected at the event”. If I’m planning to stop at Biassono-Lesmo station, do you know where do I have to collect th ticket? Hi Chris, I’m not sure where you bought the ticket from. They should be able to tell you where you can collect the ticket at the track. Probably it will be near the Main Entrance, which is a long way from the Biassono-Lesmo station – at the other end of the circuit. If you are only coming on Sunday and need to pick up your ticket from near the Main Gate, I would take the train to the main Monza station. Hii I was wondering if you knew of any restaurants that I can watch the race from? Or some sort of club where I can pay more for drinks/food but be in air conditioning? Does anything like that exist? On the Thursday is the 1600 pit lane walk the only opening times to the track ? Hi, anyone know if there’s an English radio broadcast (and freq)? We have ear muffs that have normal FM radios in them, we used them at the Melb GP with great success. Hi, in terms of cameras and equipment, what is allowed in with a general admission ticket? Check the list of prohibited items here. In general for F1 events, you should be fine with camera lens smaller than 400mm. Anything larger and you risk not being allowed in with it. I will be coming from Biassono-Lesmo station, I have general admission on,y – will I be able to get to the inside viewing areas of the track. Yes, you can. There are tunnels to get under the track. Hi, can you please remind me where is the best place to get autographs and selfie with drivers? Not at the autograph session during pitwalk but when they enter and leave the track? Pit lane tour was very badly organised . The area around Mercedes, Ferrari and Red Bull was narrower than the rest should there was a ridiculous bottleneck as everyone wanted to be there, and they threw us out at the end before Lewis made an appearance. I only have race day tickets, will I be able to walk the old banked circuit on Monday? Monday is a good day to do it. Monza just returns to normalcy after the race, and it’s an awesome city park.